First of all let me sincerely acknowledge and thank all of you who have partnered with us to get our project this far. To accomplish this has been an act of faith and a miracle in itself. You who have helped us are a very real part of this endeavor’s materialization. Looking from a distance the building doesn’t seem as large as it really is so I’ve included the interior photo below to help give you some perspective. During our first phase of completion, the basement and main floor are to go into immediate service as a Church Worship and Discipleship Training Center. 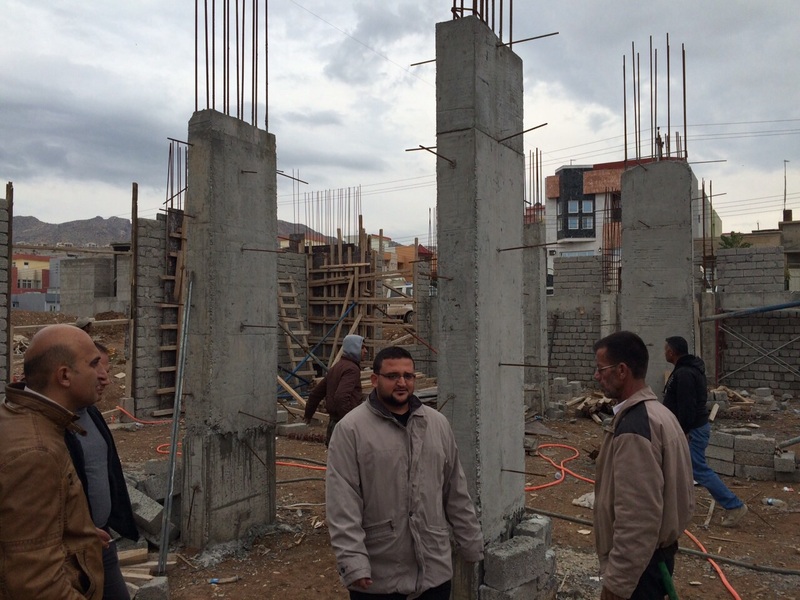 Workers from across the Middle East can and will come for encouragement, training and practical help for their ministries. It’s a Conference Center and Staging Area for outreach into the surrounding nations. This facility is our Middle Eastern headquarters and base of operations as well as our local church facility. 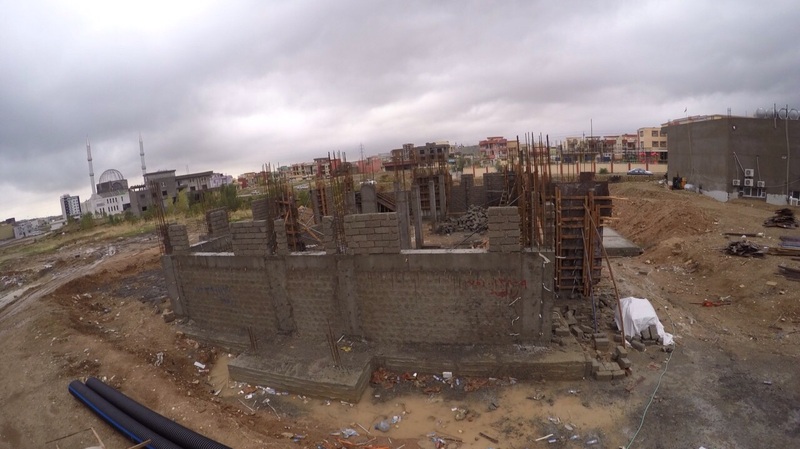 I’m very confident that we will be able to fill this church making it one of the largest in Iraq. Last Sunday our current building was filled to capacity, standing room only. I cannot emphasize enough, THIS IS THE SEASON! This facility also has enough room for emergency shelter for the continuing tide of refugees and IDPs flooding into the area. We can provide shelter and shower/toilet facilities for many in the area. We have room in this first stage for a small clinic when needed as well as a food and resource distribution center. It’s a place people can come for help, both spiritual and material. THIS IS WHAT A CHURCH IN THIS PART OF THE WORLD SHOULD LOOK LIKE. We’ve used all the available resources that we’ve received (and are very grateful for) to get this far. Right now we’re at a standstill until more comes in. We’re ready to pour the concrete for the roof which will complete the first story of the building and make it functional. We also need the fixtures and materials to finish the interior. Pastor Layth says that we need about $70,000 to make this happen. We need your help to accomplish this! NOWHERE ELSE IS THE BATTLE BETWEEN GOOD VS EVIL MORE CLEARLY AND DRAMATICALLY BEING ACTED OUT THAN RIGHT HERE IN NORTHERN IRAQ! Millions of Refugees throughout the region, Warfare and shifting Geopolitical Boundaries, Mass Killings, Beheadings and open Ethnic Cleansing, Human Trafficking and Persecution of Christians, Yezidis and Kurds. ALL LESS THAN 60 MILES AWAY! Evil men are sacrificing everything; leaving homes, traveling from other countries, willing to lose their own lives … TO JOIN ISIS … TO PARTICIPATE IN THE CARNAGE! All lavishly funded by untold millions of Petro-Dollars manipulated from the shadows by Oil Rich Nations with their own political agendas. WHO FUNDS US? – YOU DO! – IN FACT, WITHOUT YOUR HELP OUR EFFORTS WILL FAIL! This is a True-life David vs Goliath story; we can, against the odds, win this battle. When Goliath roared out his challenge, “Give me a man! That I may fight him!” all the majority saw was an undefeated monster and were paralyzed with fear. What David saw was an abominable offense, a stench of outrage against GOD and HIS people. David is remembered as the Man after GOD’S own Heart because David saw as GOD saw and conformed his actions accordingly. We Can Do This! – I said, We, Not I. – Together, I Know WE Can. If you’ve not already done so, please consider getting involved by making a monthly pledge of support. For instructions on how you can help us Click or Press the Button below. ← Can We Change This Map?